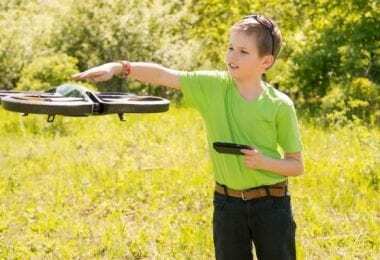 If drone racing is your hobby and you are wondering which drone is better suited for this then you’ve come to the right place. The Arris X-Speed FPV250 is a small and very durable quadcopter that has a lot of speed and is perfect for FPV racing. It comes with a very good price too but is not really for beginners because it doesn’t come pre-assembled (unless you buy it at a higher price). With all the pieces you get in the package it might be a little bit confusing for those who have no idea about drones. The good part about this is that you can easily replace and change everything you want and make your own personalized racing quadcopter. This product is assembled and pre-tested. The picture showed battery and FPV RX are for reference only, not include, you need to buy them separately. With Integrated PDB, grealy reduce all kinds of wiring mess. 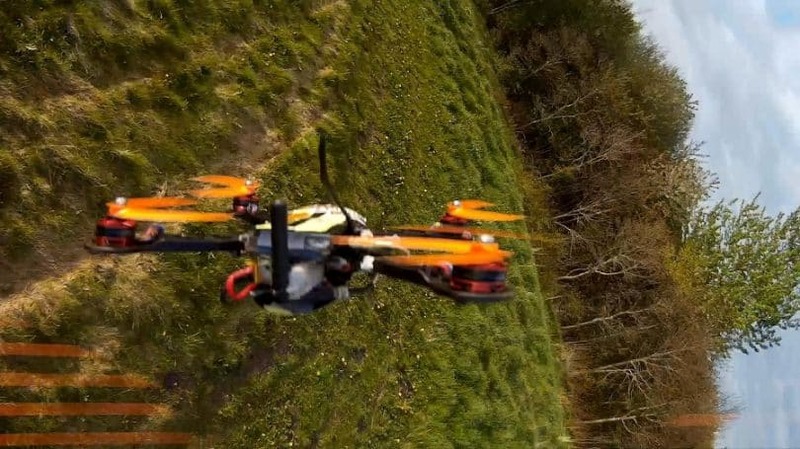 This XSpeed FPV250 must be the best 250 racer we`ve flied so far. The frame is made of 1.5mm pure carbon fiber material, weighs only 161g. It is much lighter than those glass fiber material or glass fiber mixed with carbon fiber materials. we adopts double plated arms design, this could avoid the crack of the arms after a crash. Other than that, it’s a very durable drone, you get stable videos and, if you have goggles, the experience will be even more amazing. As I said before, once you receive the drone you will have to assemble it (unless you’re willing to pay extra). Honestly, if you’re not a beginner it’s not worth paying the extra money just to get it RTF. You’ll miss out on the experience of putting your drone together! In the package, you will find lots of screws and body parts. I mean there is a total of 27 different items and this why I said this may be confusing for beginners. However, if you really are into puzzles, then this is the drone for you. If you follow the instructions from the manual, there should be no problems. You will just have to figure it out where is the correct place for all the screws. I know that maybe is a lot of work to put all the pieces together and you also have to buy some items in addition to all that, but the kit has a very good price and you will have tons of fun with this little guy. 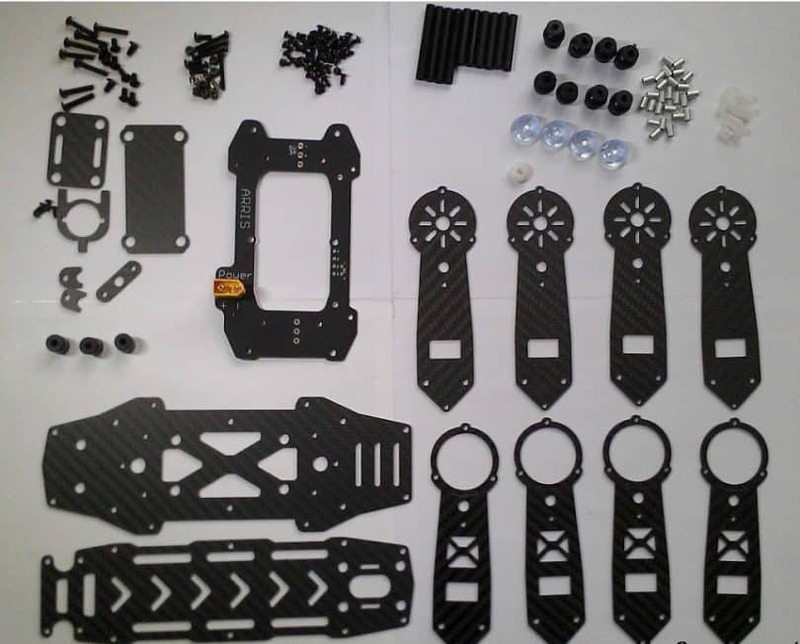 If you want to read more about kits, we suggest reading our article about racing drone kits. The X-Speed 250 is built with strong materials. The frame is very resistant to crashes because is made from 1.5 mm pure carbon fiber material. Many other racing drones have frames made from glass fiber material which makes them much heavier than this mini quad. Because a racing drone has to be fast, the weight of the frame is very important and thus drone’s frame weights only 161g. 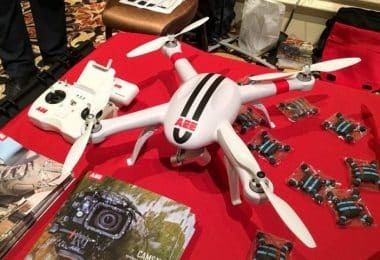 Just like any other racing drones, the X-Speed 250 will suffer crashes and some of them will be really bad o if the pilot doesn’t have experience with this. Actually, the biggest danger is with the arms. That’s why they come up with double plated arms design. With this, when the drone will crash, you will not crack them. Also between the double plated arms you’ll find the ESC so there is no risk for the propellers to cut them. The propellers are made from nylon and carbon fiber material. They are pretty strong compared to those made only from plastic. The other good part of the design is that it has standard plugs and wiring so you can make changes quite easily if you want to improve the drone. If you want to improve your race quad, you can change the motors, the camera, the speed controllers or the flight control board. Also if you want LED lights for an easier flight at night or in a dimly lit place, you will have to buy them. The only complaint about the design other than the part where it has to be assembled is that the screws are not long enough to allow an easy assembly. However, longer screws are not recommended because they will touch the ESCs. The 700 TVL camera is pretty good. It takes quality videos and, on top of that, it has no delays. You can adjust the camera from 0 to 20 degrees (pitch up) quite easily. A crash makes the frame vibrate and that can influence the camera and other components. This is why, for the camera, there is a vibration damper plate. This plate will filter the vibrations so you can enjoy stable and clear videos. You can see everything the drone is recording in FPV and, if you want, you can even use goggles so the race will be even more interesting. The battery is not included in the package so you will have to buy it. 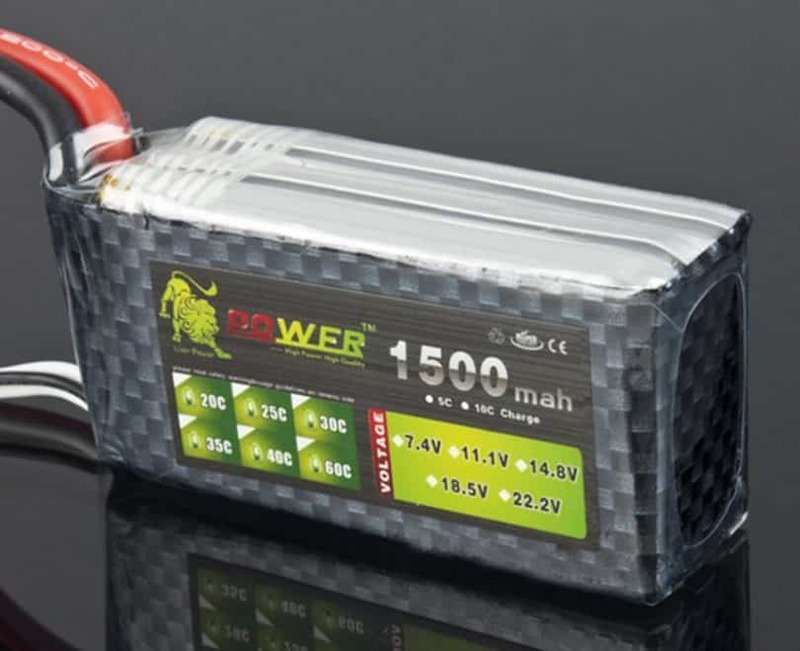 Suggested batteries are the 3S 11.1V 1500 mAh to the 2200 mAh. 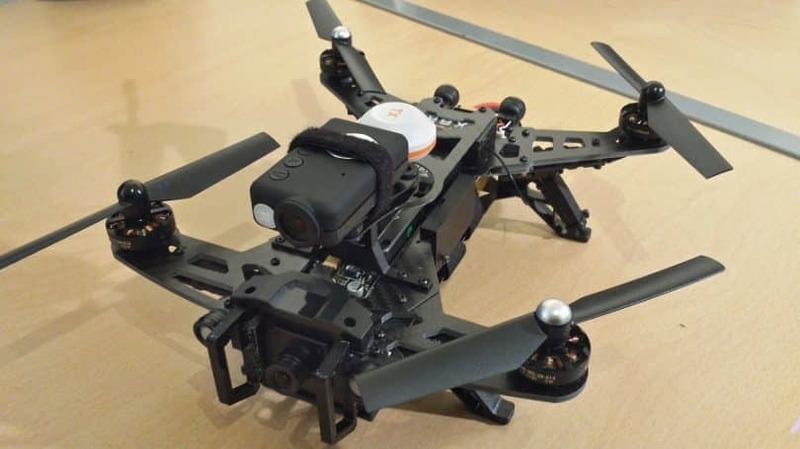 The weight of the drone without battery is 395 grams and with the 3S 2200 mAh, the total weight is 554 grams. This will give you about 10 minutes of flight depending on the wind conditions and the flight manner. The controller is not included in the package either. As I said, you will need a transmitter with 6 channels or more. After you buy one you will have to make the connection with the CC3D flight control board and you are ready to go. Also, don’t forget that you need batteries for the transmitter. 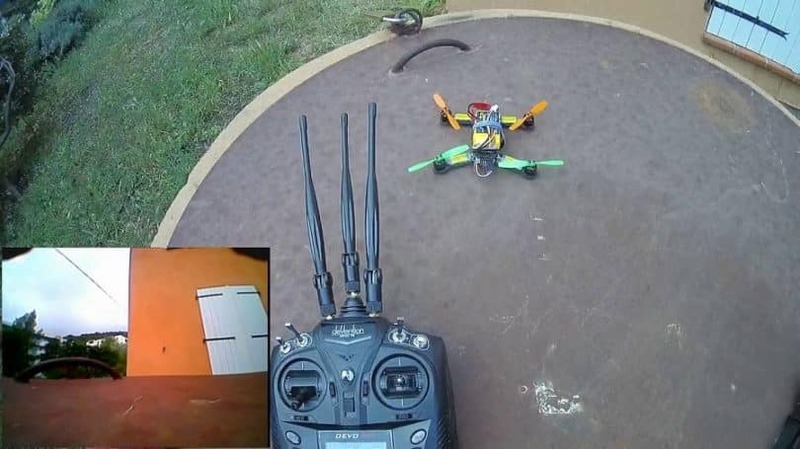 Above is a video in which you can see how to make the connection of the transmitter with the drone. As I mentioned before, the flying time of Arris X-Speed FPV250 is 10 minutes long but it can be less if it has a payload. However, you should keep in mind that this little guy can’t carry much since it was designed for racing. It has to be small and light. The maximum payload capacity is 159 grams or 0.35 pounds, which is the equal weight of a smartphone. A heavier camera will seriously hinder its capabilities. The included motors are small (1806 brushless motors) and they don’t provide the drone with enormous speed but they are great for beginners. Of course, if you want the drone to be faster, you can buy other motors and go as fast as you can. Above is a video where you can see how amazing the flight with this quad can be. The price for the Arris 250 is between $150 and $350. 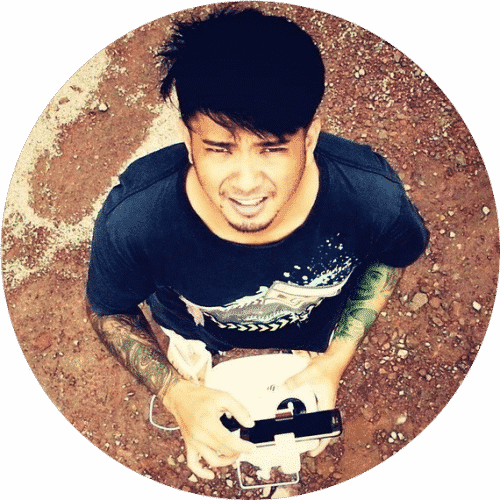 The cost varies according to each seller and the mode you want the drone in: RTF or kit. If you decide to save some money, keep in mind that the kit doesn’t come with the complete list of elements. Even if you don’t get all that you need in the package, the kit is still offering a good price because you get a durable and awesome racing drone. On top of that, the price is better than other racing drones that are ready to fly. You can even buy the frame first if you don’t have the money to purchase the whole kit at once. As you can see, this drone is more for those who have a passion for building their own drones from scratch. As for the guarantee, you will have to talk with the seller to see the conditions because the producer doesn’t mention anything about this. The drone is equipped with integrated PCB (printed circuit board). This solved the issue of fitting a lot of wires through a small frame. So, what do you say? Pretty impressive features right? There are many opinions on this drone and, as you probably know, some of them are good and some are bad. Let’s see which it is. First, the price will vary depending on what you want and how much money you have. 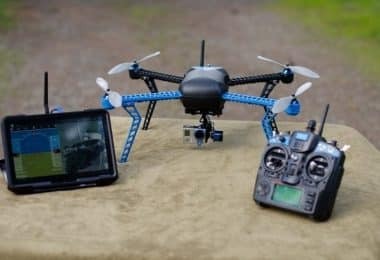 The Runner may be better a better choice for beginners than the Arris X-Speed FPV250 but, at the same time, you must be careful because this is a fast drone. Even more, it doesn’t have a GPS so it will not hover in one place without your constant help. The lack of the GPS affects the OSD too. Normally, the OSD offers details like altitude, speed, and the distance from the original source, but here it only shows the flight time, battery voltage, and system voltage. The Runner can carry a small camera like a Mobius or a RunCam for the FPV videos but that’s it. This is not a drone for taking pictures and making movies. It is a racing drone that will invest everything it has in speed and performance, and to get much more familiar with it, make sure you also take a look at our Walkera Runner 250 in-depth review. 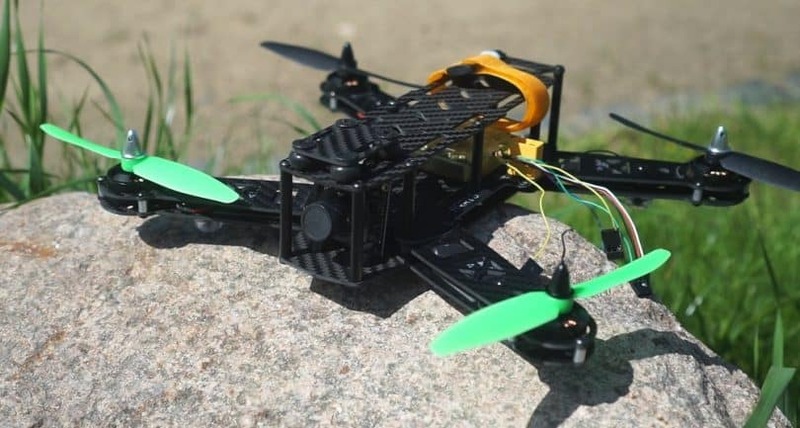 The price for this drone will start at about $150 where you get the build-it-yourself kit with missing items that need to be purchased separately, and it goes up to about $750 where you get a full FPV setup with goggles. The Walkera Runner 250 is great in speed but many people complain about the “flip of death”. This happens during flight when the drone will start to flip 2 or 3 times for no reason and then will crash. Other than that, it is a really good racing drone that deserves its price. This medium-sized drone is best known for its speed. It has a durable and strong body made from carbon fiber, it’s easy to fly, and it has LED lights if you want to have a race during night time. Even more, it has support for a better camera than the Arris drone. You control the drone with a 600mw 5.8G transmitter that has 32 channels and a built-in OSD so you can monitor your drone’s status in flight. Depending on the seller or what kit you choose, the transmitter will be included or not in the package. The LED lights not only help you to fly the drone in low light, but they also help you with the orientation. You have two eyes in front and on the back there is a red stripe. The LEDs can be turned on and off by a switch that you will find on the left side of the frame. The price of this drone is between $280 and $360 if you want it pre-assembled. Of course, just like the Arris drone, the Eachine can also be purchased in pieces. 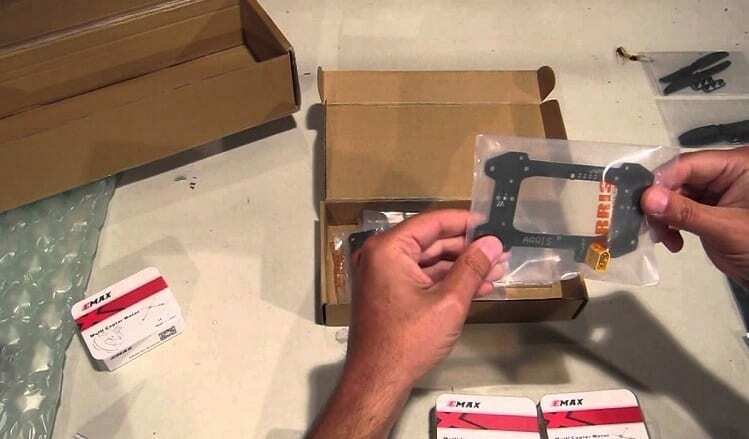 However, users complain that the instructions are very confusing and they make the assembly difficult. Overall is a good and durable racing drone that will offer you up to 10 – 15 minutes of flight. So if you decide to buy it you will make a good choice. To get to know it much better before you maybe decide to buy it, we suggest that you also read our Eachine Racer 250 detailed review. This drone is small and has a very light-weight body that helps you fly really fast. 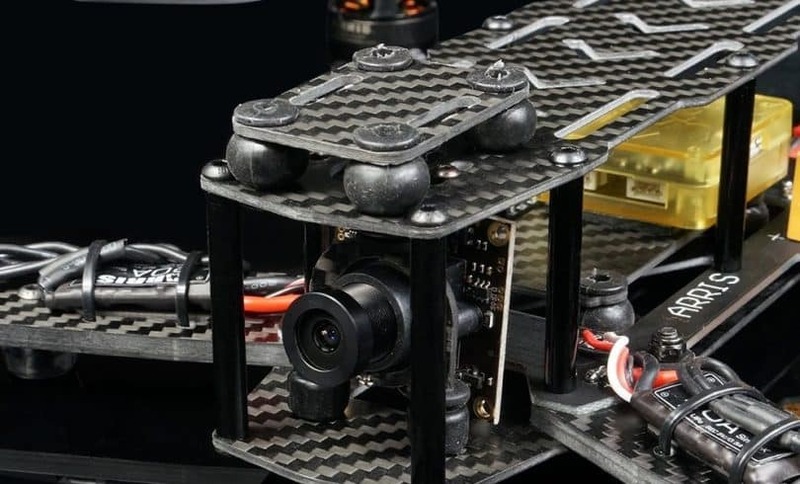 It has a small camera with an adjustable angle, a very durable frame made from full carbon fiber, and LED lights for easier flights during low light conditions. If you are a beginner, the recommended mode is the default auto-mode. If you have experience with race drones then you can set it to manual mode and test its limits to the max. The ESCs are installed on each arm and you have a tape to protect them. However, in time, the tape will lose its property and the ESCs may simply fall. Also, in the case of a crash they are in danger. The same problem was at the Arris X-Speed 250 and they solved it with double plated arms. The Tarot 130 comes with a 520 TVL camera that is installed in front of the drone and is protected by the frame. Just like with all FPV droned, the angle can be adjusted. The bad part is that the camera’s FPV light adaptation is not that good. This drone’s price is about $169, which is a pretty good price for all the things you get. So, if you want a fast drone, this may be a good model. Before we end the article, let’s go one more time over the drone’s specs and weigh the pros and cons. So, regardless of the fact that you want to solve a puzzle or save some money the kit version of this drone is almost always the first choice. Thin about the amazing journey of putting a drone together and learning about every wire that goes through its body! It’s absolutely invigorating! The Arris X-Speed FPV 250 is a great racing drone, with unique features that make it great for both beginners and professionals. Even if it doesn’t have an elegant design or an awesome camera, all that counts for a racing drone is the speed and the durability. 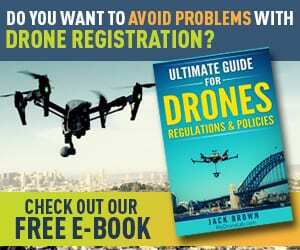 To win a race, the drone must withstand crashes and collisions, and must offer great visual connection. 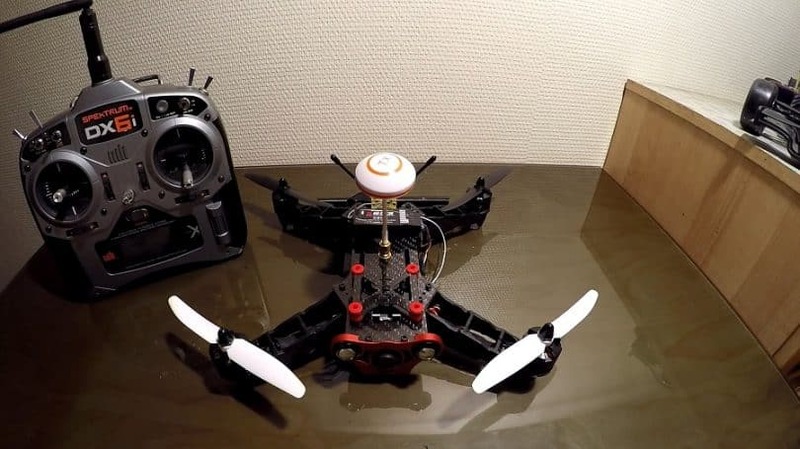 Did you ever put together and FPV racing drone? 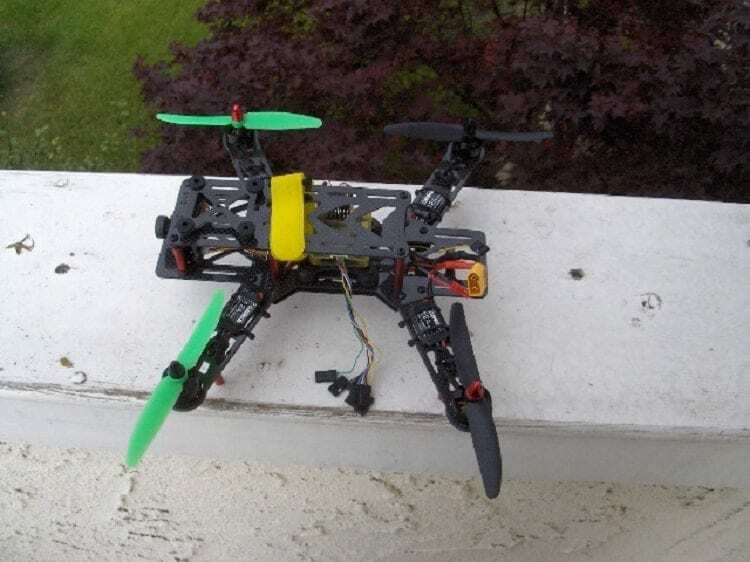 Or have you ever improved your current racing drone by adding motors or better batteries? If yes, please let us know how it felt in comments.